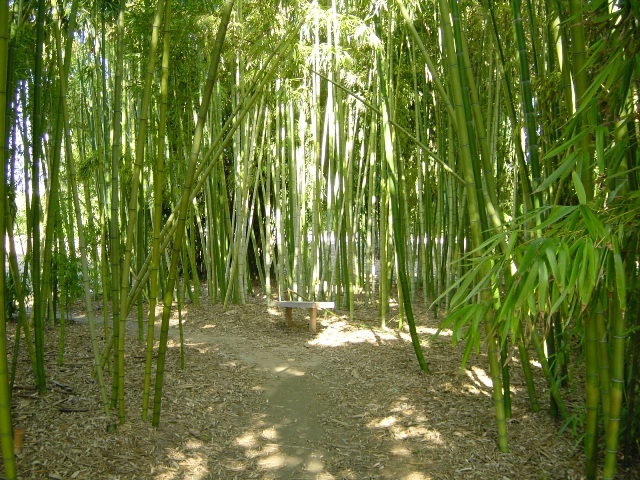 San Diego Botanic Garden has a collection of over 4,000 unique plants, many found at exotic locations throughout the world. You can explore habitats from places you would like to visit without ever leaving San Diego. This is also a place to learn about California native plants, especially those of coastal maritime chaparral: a small fragment of this endangered habitat is preserved within the Garden. The Garden also holds numerous special events and classes. Driving directions: (Encinitas) From I-5, exit at Encinitas Boulevard and go right (east) for 0.4 mile to Quail Gardens Drive. Turn left on Quail Gardens Drive and continue an additional 0.3 mile to the Garden entrance, on your left. Hiking length: Four miles of trails wind through the 37 acres of park. The main trail is a paved road roughly a half-mile in length, but there are numerous dirt trails branching off of it. Easy with 100 feet elevation gain/loss. Most trails are an easy stroll, often shaded by tall trees that can accommodate strollers and wheelchairs, though some have a few stairs to negotiate. Dogs and other pets are not allowed in the Garden, although an exception is made for service animals. NOTE: There is an entrance fee; check the Garden’s website for information. Sunday, June 16, 9:00 a.m.
Saturday, July 20, 10:00 a.m.